ASIS is being deceptive with its conference reporting, effectively inflating the event's real actual attendance. What they try, but struggle to do, is report 'registrants' but, as our examples below show, they clearly are misrepresenting it as actual attendees. Actual attendance is historically ~17% less than registrants reported, thousands of attendees less, so the difference is material. Whatever 'attracting' they claim, it was far less than 22,000 that were 'attracted' to Dallas during that week. Registrants represent anyone who registers online, often for free, whereas attendees are only the people who actually physically showed up at the event, e.g., this year in Dallas. For the companies spending $10+ million on this event, what they care about is real physical attendees. They clearly did not 'pull' 22,000 'people' to the event. Unfortunately, even ASIS CEO gets caught up in the deception between attendees and registrants. And here is from ASIS own event website that, yet again, says 22,000 professionals at the event. For whatever reason, ASIS has decided to deceive and retreat from both event standards and their own historical approach. And ASIS main competitor, ISC West, consistently reports actual attendees. ASIS is doing better on some fronts. Reaction was positive for having former President Bush, Mark Cuban and the reception at the Cowboy's AT&T stadium; even exhibitor satisfaction, though still not great, improved in 2017. It is unfair and below the standards of security professionals to deceive about attendance. ASIS can certainly do better here. ASIS CPP code of conduct... "Observe the precepts of truthfulness, honesty, and integrity." ASIS Membership code of ethics... "A member shall observe the precepts of truthfulness, honesty, and integrity." "A member who knows, or has reasonable grounds to believe, that another member has failed to conform to Code of Ethics of ASIS should inform the Ethical Standards Council in accordance with Article VIII of the Bylaws." I strongly agree that the true attendance should be stated. Do keep in mind that many of us attend the conference for the classes they offer, which are very relevant, so the amount of attendees on the Expo floor may be minimal. This is a very expensive event for dealers and manufacturers so maybe it is time to look at scaling back and making it a purely educational event in a smaller venue. Just a thought. This is a very expensive event for dealers and manufacturers so maybe it is time to look at scaling back and making it a purely educational event in a smaller venue. 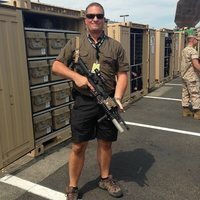 John, good feedback, interesting thought. I think a purely education event for ASIS would be more appropriate. However, from a money perspective, the revenue ASIS generates from booth sales, advertising and sponsorships from manufacturers subsidizes most everything else ASIS does. If they lost a significant amount of that, ASIS would have to significantly change other parts of their operation. For reference, here is ASIS 2015 financial report. ASIS revenue is just under $29 million of which nearly $16 million is from the seminar and ~$2.5 million from publishing, the large majority of that revenue comes from booths, sponsorships, advertising, etc. Yea, that would be tough to make up. I didn't realize this, it is their lifeblood. With so much out there and so many ways to get education , it is really tough to keep up the same venue and expect better returns. The wow effect keeps getting harder and harder to achieve. The expectation level of people in general has achieved an all time high for the amount of investment required. some getting more advanced , and some using the same old platforms to try to achieve a better outcome. I think its time to rethink the show s and restructure to meet the challenges of the industry , not show and tell time. Set higher goals for R&D , Less on purchasing old ways of thinking. and then its coordinating around current events and seasons for successful participation . We are not attacking the 'organization', we are criticizing a specific action with numerous pieces of evidence to support our analysis. If anyone has counters to our evidence or analysis, feel free to share here or email us at info@ipvm.com We are quite confident in our analysis and evidence as we we have reviewed this issue with ASIS multiple times this year. If ASIS is a strong organization, they will simply discontinue the 'registrant' tactic, report actual attendance and move on. If anyone has counters to our evidence... We are quite confident in our analysis and evidence as we we have reviewed this issue with ASIS multiple times this year. Except for the statement where they say "online registrants", all the other examples, the ones claiming "attendees", are forward looking statements made in anticipation of the event and so are optimistic. If you have a wedding and 100 guests say they're coming, you better have a meal for 100 people, even though typically only 80 will come. And you wouldn't be criticized for saying you're having 100 guests, before the wedding, nor for saying you invited 100, after the wedding. 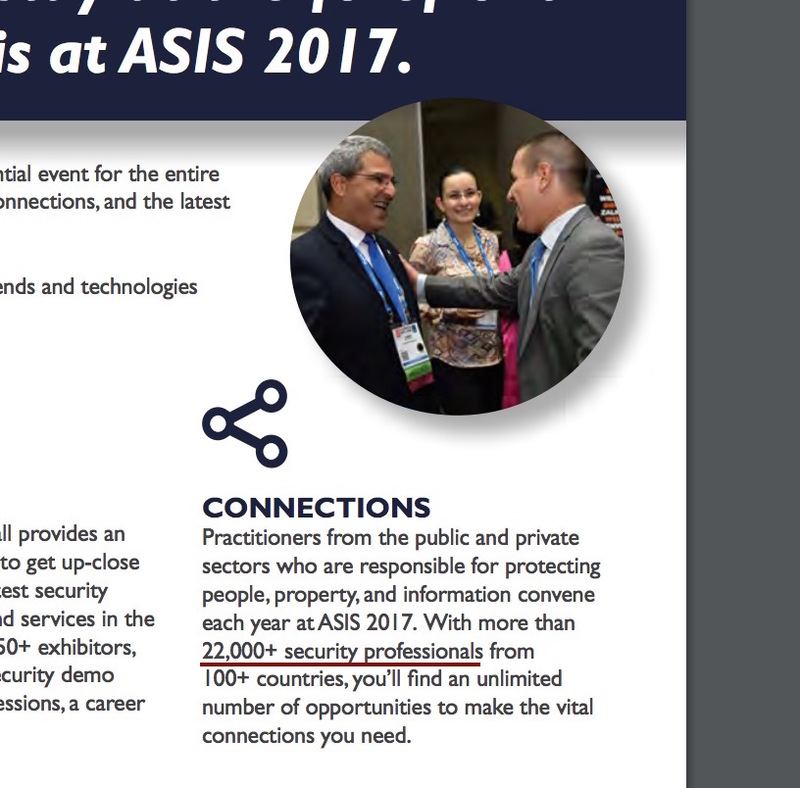 Also, ASIS CEO comment about "pulls about 22,000 people every year" was made during the ASIS 2017 show. The ASIS 2015 show certainly did not pull 22,000 people. The ASIS 2016 show certainly did not pull 22,000 people. And it is hard to believe the CEO did not know during the event that the 2017 show did not 'pull' 22,000. Just as a counter, as a vendor, we didn't have a clue if there is 22,000 attendees or 15,000 attendees. What we saw was a lot more qualified people come by our booth and like what they saw. 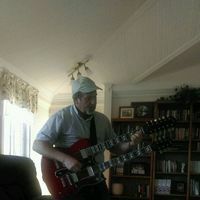 That was the goal we were looking for to attend to the show and we walked away with good quality leads to follow up on. From that measurement, ASIS produced a good show. Before the show we were hesitant to return because we anticipated there would be a light turnout, but because of the strong showing of the qualified prospects, we renewed and will be returning next year. Just wanted to point that out as a different point of view. I do agree that ultimately the number of leads obtained is more important than pure people. However, the total number of people who attend is an important factor in lead generation. For example, manufacturers consistently say they get more leads from ISC West and part of that is the sheer greater number of people who attend that show. Also, the fact that ASIS has taken such pains to report registrants as attendees implies that they too know the attendance number is an important point to market their show. ASIS can certainly market / claim about the quality of its attendees without having to resort with inflating a clear quantitative metric. Its about time that ASIS stopped being a glorified book store, and started helping the industry it claims to represent. Surely ASIS efforts would be far greater to the industry (both interrogator's and end user's) if it worked to get a nationally recognized vocational school and/or apprenticeship program started. Our industry biggest weakness is the lack of skilled technicians and service personnel. Both end user and integrator would be better off with more people coming into our industry at the entry level with some basics relevant to our industry. It would stop the inflationary practice of poaching technicians, and give interrogators a talent pool to to hire from leaving more future members for ASIS to sell books to!! I think ASIS views itself more as an organization for security directors, managers and guards vs security technical people, so I would not expect them to consider that. I think the choice of venues for next year may also kill them as many in the industry are already moaning about going to Las Vegas twice next year (ISC West in April and ASIS 2018 in September)! It is amazing that ASIS continues to refuse to report how many actually attended the event.